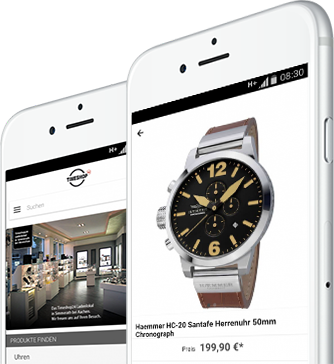 ⌚D1 Milano Watches: cheap, postage free, easy & secure shopping! The typical Italian feeling of luxury and life should not be missing. An attitude to life that you can bring home with a D1 Milano watch on your wrist. 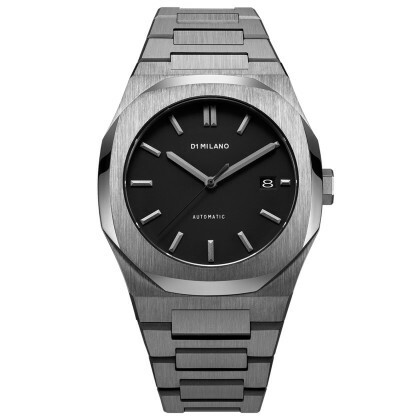 D1 Milano's women's and men's models are among the hottest watch brands, especially among the younger generation. D1 Milano was even voted one of the top 10 strong newcomer brands by Forbes magazine in 2015. Justification: D1 Milano understands: D1 Milano simply understands how to combine high-quality and innovative materials with an extraordinary and contemporary design. A combination that simply pleases. It all began with a diploma thesis on the marketing of a new watch brand. The result is a fast-growing start-up group with an ever-growing spread throughout Italy, the Middle East and South America. D1 Milano Watches currently has offices in Dubai, Hong Kong and hundreds of stores in 28 countries. With its presence of dedicated stores worldwide, D1 Milano is on its way to becoming one of the fastest growing watch brands in the world. After just under five years in the industry, the young Italian brand can now consider celebrities such as the American musicians Tyrese Gibson and Diplo as part of its steadily growing fan base in addition to numerous personalities from the worlds of art and politics. 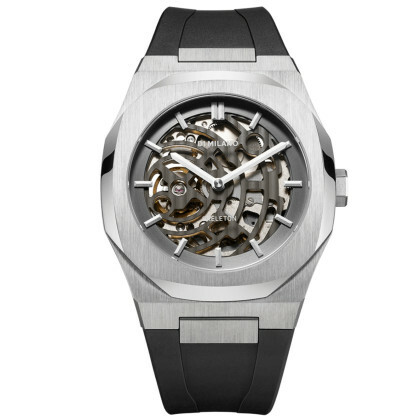 p>And D1 Milano watches have already scored points in the innovative field. The first Thermo-Chromic polycarbonate watch, for example, which changes its colour in its entirety depending on the temperature, comes from D1 Milano. 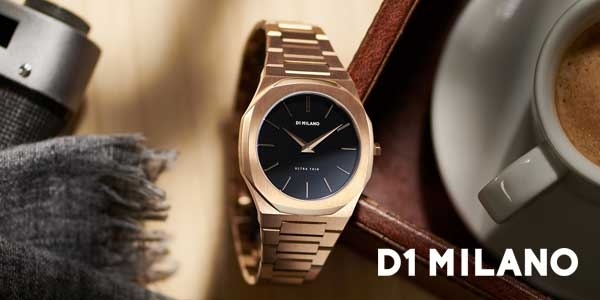 D1 Milano also scores with a design that already makes the watches unmistakable. Watches that can be worn by both men and women thanks to their perfectly shaped, beautiful and unadorned style. That combined with a high level of quality - so many models have scratch-resistant sapphire crystal and both the quartz and automatic watches is the well-known movement manufacturer Miyota permanent supplier. This makes D1 Milano watches an absolute quality product on your wrist.